There was a ghastly accident in Lagos caused by a petrol tanker which saw many dead and over 50 cars burnt. 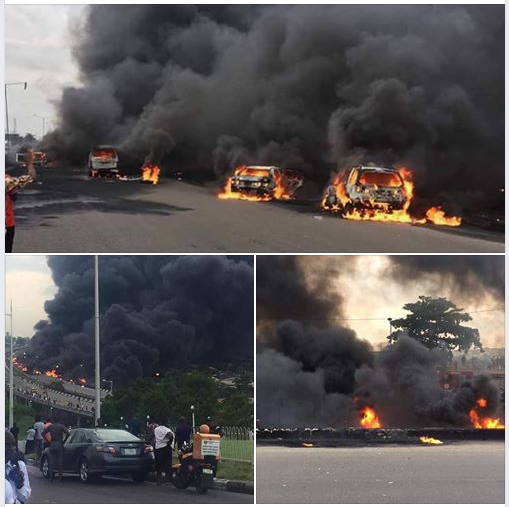 The petrol tanker went up in flames close to the Otedola Jubilee Estate on the Lagos-Ibadan Expressway.“A petrol tanker was trying to overtake another vehicle and the petrol laden tank broke off from the back of the vehicle,” according to an eyewitness (see HERE). A whatsapp vice note has been circulating the internet on how a pastor foresee the Otedola’s Bridge Explosion. 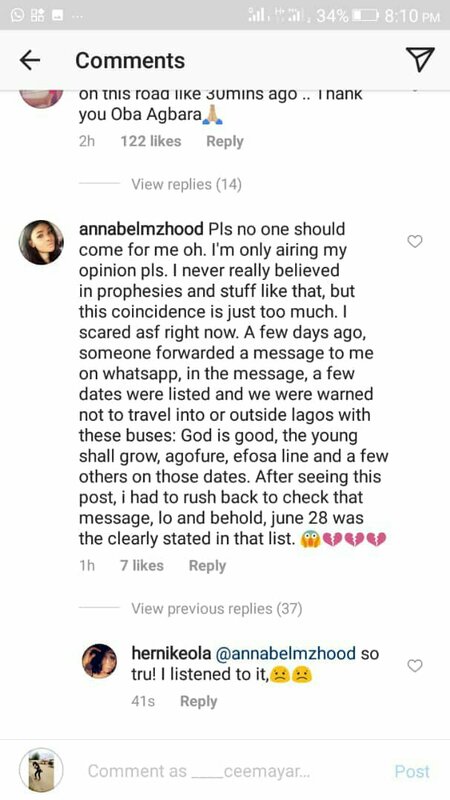 A Instagram User, Made Shocking Revelation saying she received a WhatsApp voice note broadcast last week about what happened today incident, She said She never believed in prophecy and today’s incident came to pass according to how she was told in the voice note sent to her stating dates not to travel in and out of Lagos and mentioning vehicle not to travel with.